Utilu Mozilla Firefox Collection contains multiple standalone versions of Mozilla Firefox, which can be used at the same time. 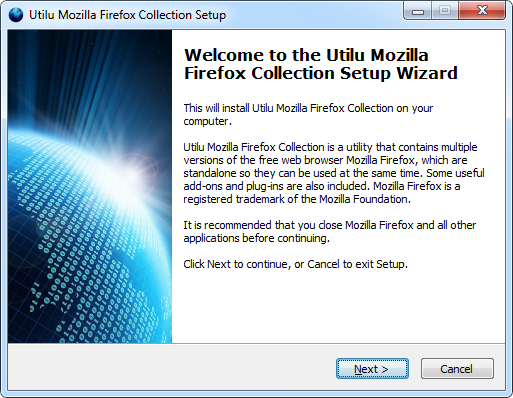 Utilu Mozilla Firefox Collection is a utility developed by Utilu that contains multiple versions of the free web browser Mozilla Firefox, which are standalone so they can be used at the same time. This is useful for web developers.